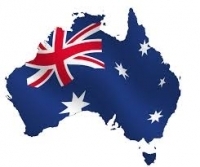 The ABS (Australian Bureau of Statistics) released the data of August, 2013 visitor arrivals and departures, which revealed a decrease in net permanent migration while net long-term migration to Australia is still increasing. There were a new record high of 680, 200 long-term and permanent arrivals into Australia in the year to August 2013. And the net long-term and permanent arrivals were 308, 760 in the same period. However, though overall net long-term immigrant numbers are booming, permanent migration shows a whole different story. The number of permanent arrivals went down by 4% to 152,710 in the year to August 2013. In fact, net permanent arrivals tracking 8% below the long-run average, decrease for the 12th consecutive month. As noted earlier, a perfunctory look at the ABS data shows that most of the recent migrants to Australia are temporary workers. However, according to the DIAC (Department of Immigration And Immigration), over 30% of these temporary workers on the 457 visas end up becoming permanent residents which suggests that actual permanent immigration remains comparatively high.